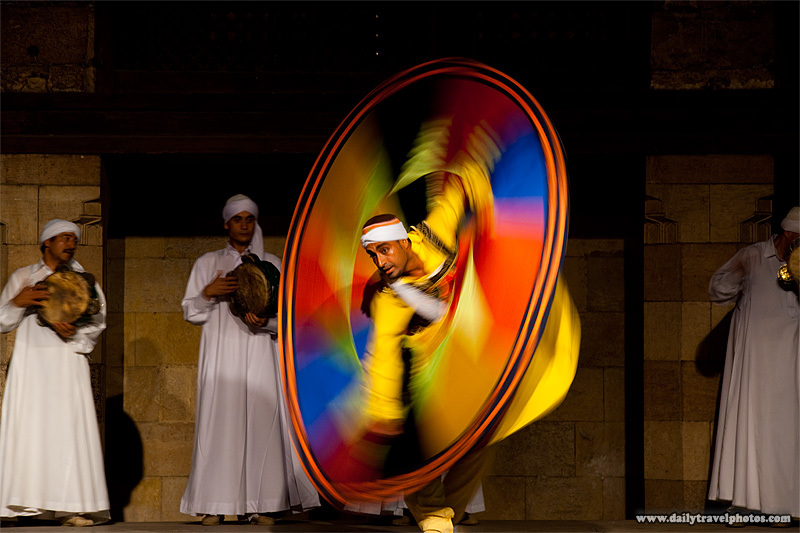 Whirling dervish performance at Wikala Al Ghuri in Islamic Cairo (ARCHIVED PHOTO - on the weekends). 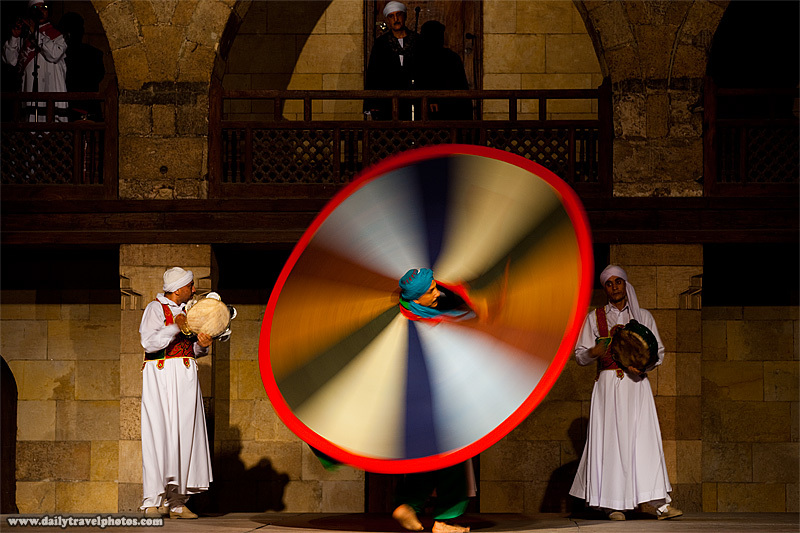 This free whirling dervish is performed twice weekly by Egyptian Sufi dancers with a decidedly Egyptian twist. To put it another way, if whirling dervish were bowling, Egyptian whirling dervish is rock 'n roll bowling. It's a different experience from dervishes seen in Turkey but extremely entertaining nonetheless. I spent the early part of summer 2010 in Cairo to escape European Schengen-zone visa persecution. In total, I carried my camera in Egypt 4 times, primarily due to excruciating summer temperatures that often exceeded 110°F (40°C). For obvious reasons, I braved the temperatures and schlepped my gear to Islamic Cairo to photograph the Sufi dancers perform their hearts out. In related news, I've just booked my flight to flee Europe before my three month Schengen-zone visa expires again. My destination is Cairo (again) where the temperatures should now be milder and I can hopefully redeem myself for the lackluster photographic output during my previous trip. A whirling dervish performer is blurred by his rapid rotation (ARCHIVED PHOTO - on the weekends). These dancers twirled for nearly 15 minutes at a time! Iron stomachs, indeed!